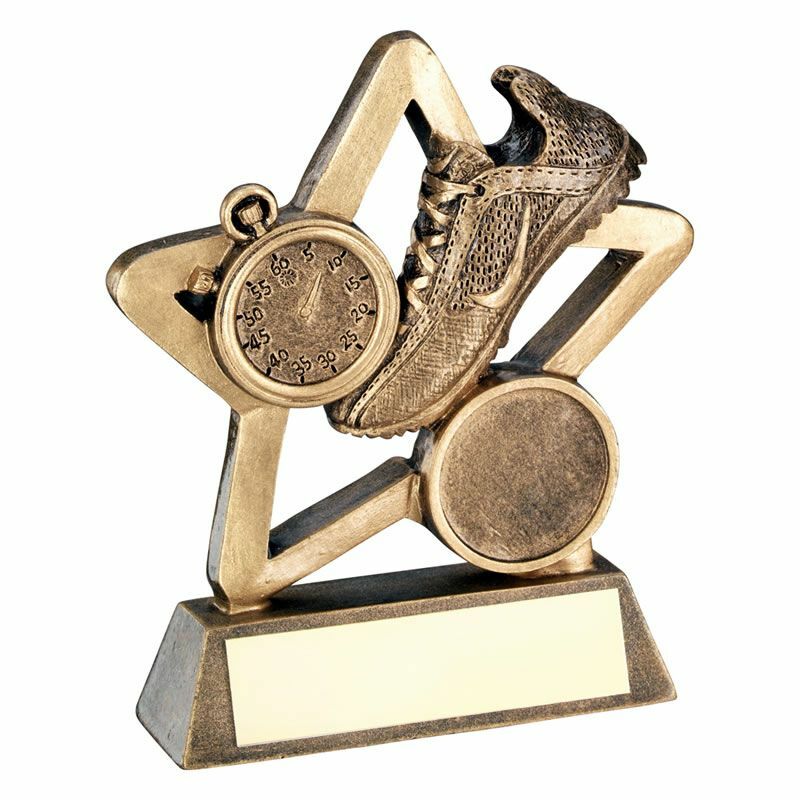 These attractive athletics running awards trophies are crafted in durable resin and have an antique bronze colour finish with gold colour highlights. It features a star-shaped frame enclosing a running shoe, stopwatch and a 1in athletics centre. Standing 3.75in (95mm) tall, the awards are set on a bevelled base with metal engraving plaque, and are offered here with low cost engraving.